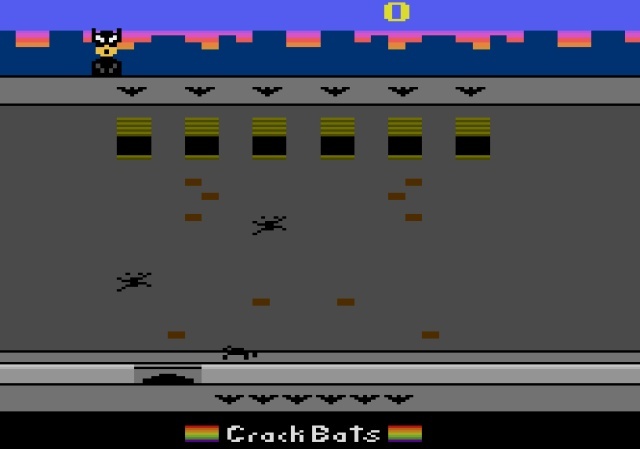 Halloween may have come and gone, but that doesn't mean we wont give a quick mention to Omegamatrix's latest Atari 2600 game of ' CrackBats '. That's right gamers, Batman is back and this time Penguin has unleashed an army of evil spiders upon Gotham City! Can Batman stop these evil Spiders in this cool arcade release for the Atari 2600? That's down to you!